As of August 2017, over one hundred journalists have participated in workshops aimed at building their capacity to report on nutrition across the nation. The workshops, entitled “Eliminating Hidden Hunger“, have been organised by Mishal, a Pakistani strategic communications organisation, with funding from the Australian government. Jurek Juszczyk, Acting Australian High Commissioner, during the closing ceremony of the Islamabad workshop. Most importantly, journalists were made aware of the extent of the malnutrition crisis in Pakistan. With 44 per cent of the population stunted, the economic cost alone is estimated at more than three per cent of its GDP annually, equating to USD $7.6 billion. 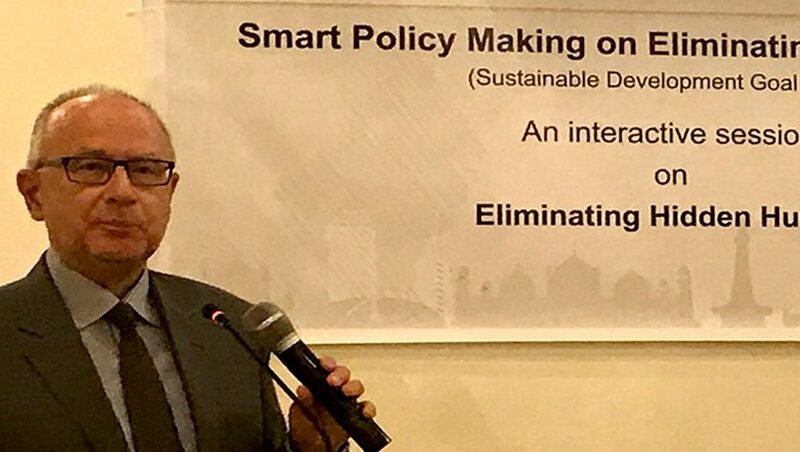 Mubarik Zeb Khan, a senior journalist from Islamabad who attended the Islamabad workshop, said, “Through this initiative, media will be empowered to generate knowledge-based reporting on health-economics issues which will result in awareness among public spheres and increase accountability of policy-makers”. Building on this, during the workshop held in Quetta, Saleem Shahid, Senior Bureau Chief Dawn said, “The malnutrition issue exists. Our journalists really need such workshops to understand and know how to do it. We need to engage the journalists as well as the editors to motivate them to talk about the health issues. Today, instead of views and opinion fact based reporting should be done to fill the required knowledge gap in the public and political spheres”.